There has been a lot of talk about Google algorithm changes within the SEO community, well, since Google was founded. In the last couple of years, this conversation within the community has intensified with the release of two major recurring algorithm changes: Panda and Penguin (more on these later). More recently, this conversation on algorithm updates and how they might affect Pronto websites has been taken up within the TMT/Pronto community. We wanted to take some time to here today to provide a little education on how this whole thing works, give our thoughts on how these algorithm changes affect Pronto sites, and address any questions or concerns you might have. 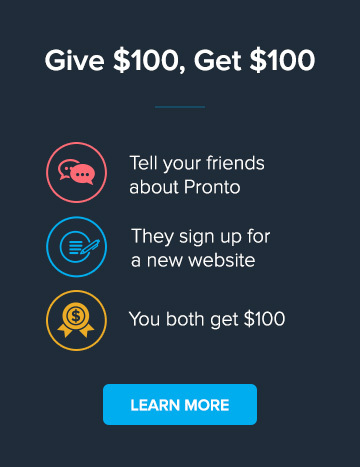 Before we go any further, let’s get straight to the point being presented in this message: there is no data to support the idea of a global SEO issue with Pronto websites. First, let’s start by thinking like a search engine. What is Google’s ultimate goal? Well, yes, to make money, but in order to make money, Google needs to provide high quality, relevant results to its users. Without quality organic search results, no one would use Google; if no one used Google, no one would click on their advertised results; and if no one clicked on their ads, Google wouldn't make any money. So since its founding, Google engineers have worked tirelessly to continue providing the best results in the search engine business by releasing literally hundreds of changes and tweaks to their algorithm every year. In February 2011, Google released a major algorithm update nicknamed Panda. It caused quite a stir in the SEO community because it affected a high percentage of searches, signified the beginning of large scale attack on spam by Google, and unlike previous algo updates, iterations of Panda would continue to be released with fresh data and tweaks for improved results. Panda focuses on sites with thin content that provide little value to users. This includes content farms, sites with more ads than content, and any other sites with spammy qualities. You can find a more thorough explanation of Panda here. Penguin, which originated earlier this year, targets various webspam practices including both on-page factors, like keyword stuffing, and off-page factors, like link spam. Link spam includes things like paid links, links from low quality directories, links from article submission sites, links from various low quality or irrelevant websites, and basically anything that doesn't provide value to a human being. Like Panda, there have been iterative releases of Penguin since it was first rolled out in April of this year. For a more detailed analysis of the algorithm update and what kind of practices it targets, check out this video. Duplicate content can exist in many forms within a site and across the web. On large, complicated sites, duplicate content might be caused by dynamic URL parameters. On a less technically advanced level, something as simple a trailing slash (“/”) at the end of a URL can cause duplicates. Across the web, duplicate content can cause issues on anything from illegally scraped content to legitimately syndicated content. All this talk about duplicate content matters because when Google finds duplicates, they need to decide which is the original source and which page should display in the search results, and as a webmaster you want to be able to control which page gets traffic. It also matters because the Panda update brought with it the potential to have a site’s rankings harmed because of it. So where does Pronto fit into this? Well, the most obvious source of duplicate content on Pronto sites is our syndicated blog content. We've been very aware of duplicate content as a potential issue for quite a while now and even though we didn't see any evidence of adverse affects from our blog, we decided to stay on the safe side and take some extra precautions. Our syndicated blog content has always linked back its original source on techadvisory.org (the domain we use for organizing our blog content). Before Panda, this link was enough to point Google in the right direction. After Panda, we decided to add a “noindex” tag to the Meta Robots attribute on blog articles across all Pronto sites. This tag tells search engine bots not to include that page in their indexation of the site. When placed across all the articles on your site, it essentially means that your blog content is a zero-sum game from an SEO perspective - you won’t be getting loads of search traffic through your blog, but you also won’t get hurt by duplicate content. We take these algorithm updates very seriously at Pronto. Our SEO Team is here to learn about these changes and take appropriate actions, so you don’t have to. On a global level, a lot of our decisions are driven by data. I wanted to share some of that information here, so you would have an opportunity to see exactly what we are seeing. First, let’s take a look at average organic search traffic for 2012 organized into groups and segmented by week with markers for every major algorithm update that was released this year. Many TMTers use their Pronto website as a secondary website, so a lot of the normal marketing strength that is put behind primary websites isn’t used on these secondary site which leads to an overall lower average for TMT websites. The drops around the weeks of November 19, December 17 and December 24 can better be explained by seasonal holiday trends rather than the algorithm updates that occurred during those periods. Overall, things are looking steady. There are drops after some algorithm updates, but also recoveries following many of those. Conspicuously absent from this chart is a steep and long-term decline that would indicate a global issue with Pronto sites. Next, let’s look at a higher level view. Here is the organic search traffic for all our MSP clients and our non-MSP clients over the course of a two year span. We only started working with non-MSP clients in late 2011, so we don't have much usable data before January 2012 for that group. Also, I didn't include algorithm notes in the chart, but all you need to know for 2011 is that Panda was first released in February, the next update was released in April and then following updates occurred essentially every month. In 2012, MSP clients saw an increase in every month when compared to the previous year except December which had a 5% decrease from December 2011. But before we jump to any algorithmic conclusions, I think there’s a simpler explanation hidden in the details. In December 2011, Christmas Eve, Christmas Day and New Year’s Eve all landed on weekends while in 2012, they all landed on weekdays. This little switch has a big impact on search trends over the holiday period and can help explain the lower performance in 2012. Another important thing to note here is that our Non-MSP clients (who do not receive syndicated blog articles) saw the same general traffic trend throughout 2012 that MSP clients did. The higher overall average for Non-MSPs is simply due to the smaller sample size. Again, the important thing here is the trend over time. If our blog content were an issue, there would be a noticeable difference in the trends between these two groups. If You’re Only Going to Read One Section of this Article, Read this One! The most important thing to take away from all of this is that there is no data to support the idea of a global SEO issue with Pronto websites. However, that doesn't mean one-off sites were not affected by these algorithm updates. If you think your site has been affected, we’re here to help. If you’re concerned about possible duplicate content issues, send us a ticket and let us know which pages need work. Our writers can completely rewrite all the static pages on your site if necessary. Best of all, rewrites come at no additional cost to you. If you’re concerned about possible issues with link spam, send us a ticket and our SEO Team will dig into your link profile. We can request for links to be removed on your behalf or use Google’s Disavow Links Tool to exclude spammy links from your profile. Again, there’s no extra charge for this. Pronto is an all-you-can-eat buffet. Come gorge yourself on our delicious food! Send us your questions, concerns and requests. The friendly Pronto Team is here to help!! The world of SEO is changing. Things that used to be guaranteed successes may have little to no impact today. Google’s attack on spam isn't going to end anytime soon. In fact, it will likely only get more intense. Our long-term goal, both in SEO and as a whole, is to do what’s right for your website. This means giving you the foundation of wide-reaching internet presence that will strengthen your brand and help your company grow – it means not looking for cheap and dirty wins, but rather finding steady growth whose success doesn't hinge on algorithm updates. Your success is our success and we plan to continue building our platform, infrastructure and services with that in mind. If you have any questions, concerns, comments or just want to chat about how awesome your weekend was, send us a ticket.